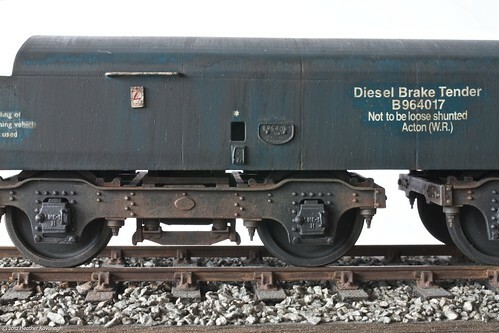 Diesel Brake Tender, a photo by Snaptophobic on Flickr. I’m sure I’ve posted this before, but I like to blow my own trumpet occasionally. Built to S7 standards from a JLTRT kit for a client last year. Don’t forget you can find out more about my professional modelling activities on my web site — heatherkay.co.uk. You can also follow me on Facebook, if that’s your thing. Search for Heather Kay Modelmaker, or just click through. Wingham Wildlife Park, a set on Flickr. Our Invicta Shutterbugs May photowalk was to the Wingham Wildlife Park, near Canterbury, Kent. While only three of us turned up, we enjoyed it no end. It took me a while to get my photo mojo going, I have to admit. A detour on the way home gave me some spiffing ideas for walks next year, too. 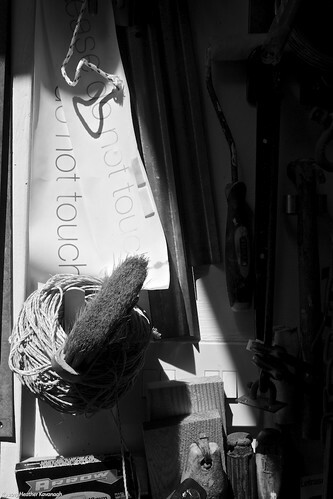 Tools, a photo by Snaptophobic on Flickr. A test in case Flickr has decided to stop its hissy fit with WordPress now. Aylesford Photowalk, a set on Flickr. The March Invicta Shutterbugs walk took place in Aylesford, Kent. It is a place I have driven through hundreds of times, and never thought to actually stop and walk around. Breakfast 366 – December, a set on Flickr. I’ve finished! I have taken my last photo of my breakfast in 2012! 4mm Scale Road Vehicles, a set on Flickr. I spent a bit of time yesterday taking portraits of some of my 4mm scale road vehicles. It’s horrible how problems you don’t see when looking at the actual models show up when you get really close. Close-up photos can be cruel at times.